I know I am in the US so how I feel about Brexit might not even be much of my business, except that the company I co-own with others is actually in the UK so I tend to keep an eye on financial things, not just in the US or the UK but even in a couple of other EU countries we do business in. 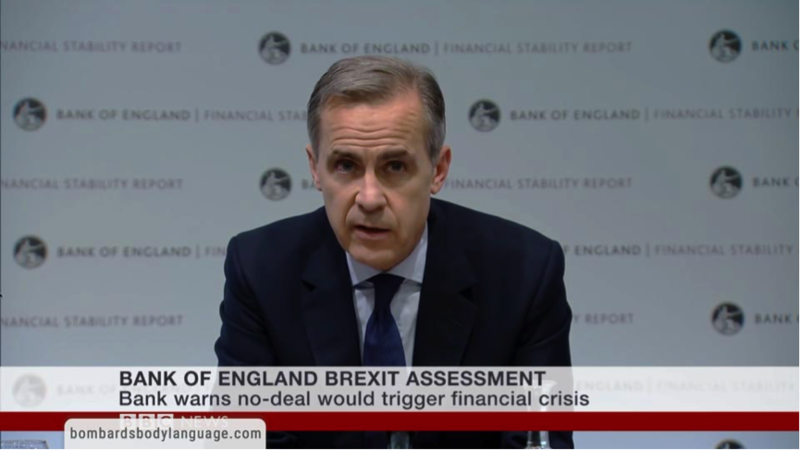 To be looking in from the outside as well as having a vert small stake in what happens with the Bank of England, my first question has to do with his first statement of BofE “has done everything to be ready for Brexit no matter what form it takes” is what exactly have you done to achieve this? In the world of economics to say you are ready no matter what happens and which way things can fall is a very irresponsible statement, because there is always going to be at least one thing that even the best analyst could not foresee happening and while you can position your selves to be as protected as possible for surprises some of your responses to things that could occur are going to be not as prepared as others since to take those steps could very well make you unstable prior to Brexit. I think a lot of what you are picking up on is that, that he knows that they have considered all possible directions Brexit could take and what things could happen, he is far from sure that they are prepared for everything as well as he has a personal stake in this as does any Banker, Financial Manager, Broker and so on. There is a great deal of tendency to see where they have set their own finances where they are protected possibly even if it goes wrong with the finances of the country in total, their money is off and cushioned in some means not available to most or any others. The other part of the deceit I think you are noticing is that this is a good bit about scaring the right people at the right time so that pressure is brough to bare on taking the Brexit steps as he sees it as best benefiting himself and not the finances of the UK and her citizens. He has already done what he needs to do to shelter his money and the better step now is to get the population behind what he says is bets to do because that will pay off for him better than having his money protected through this. Of course, it’s always better to make money off a financial crisis then just holding on to what you had going into it. This entry was posted in Uncategorized and tagged After May and Hammond - this guy is the next most despised person in the UK - Nobody takes his word as credible anymore, Body Language – Mark Carney Bank Of England Governor, Lends to the thought that all the scare tactics against Brexit is what will happen to the EU, Mark Carney slipped up and said “EU” and had to quickly make the correction in the bs coming out of his mouth and say “UK” - That made it crystal clear where his interests truly lie and it isn. Bookmark the permalink.